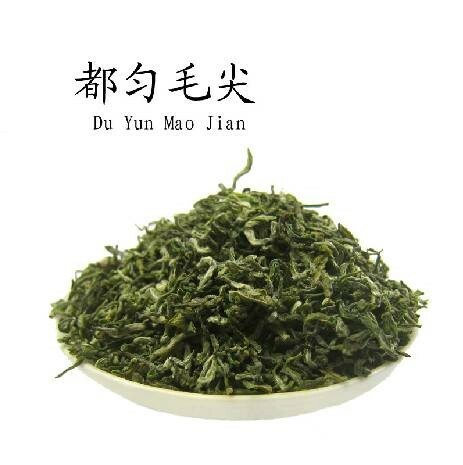 Du Yun Mao Jian is one of Guizhou's most famous teas and is renowned among tea connoisseurs in China for its sweet taste and silky texture. 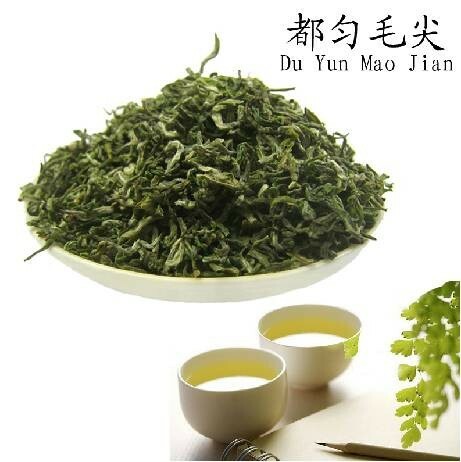 Almost no mention about Duyun maojian fails to highlight that the tea was named by Mao Zedong when he received a small portion as a gift from the people of Guizhou. 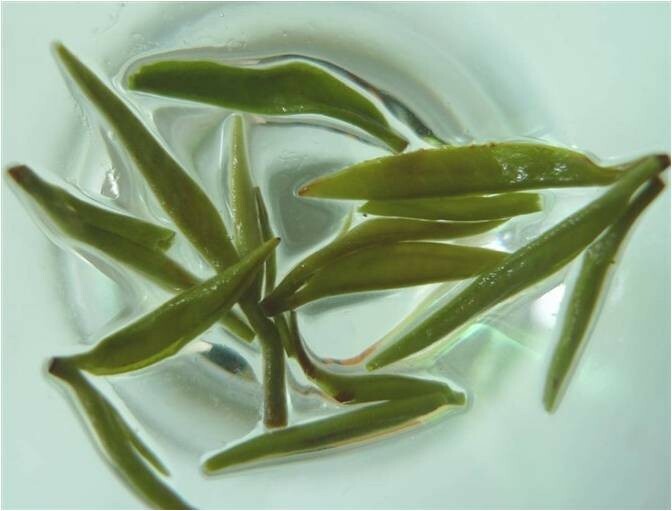 Before the name was coined,the locals referred to it as “Yugou tea” which means “fish hook tea”, describing the appearance of the tea leaves. 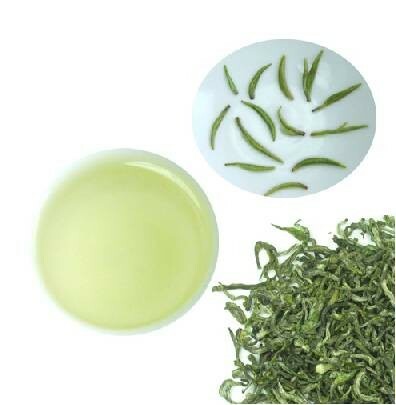 Duyun maojian (Duyun Fur Tip)is a type of green tea grown in the city of Duyun in southern Guizhou Province. 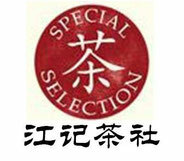 The city is located in the Buyi and Miao autonomous region. Most tea plantations are in the mountains in the midst of trees and creeks. The weather is especially mild there with just enough amount of rain and an average temperature of 16C throughout the year. 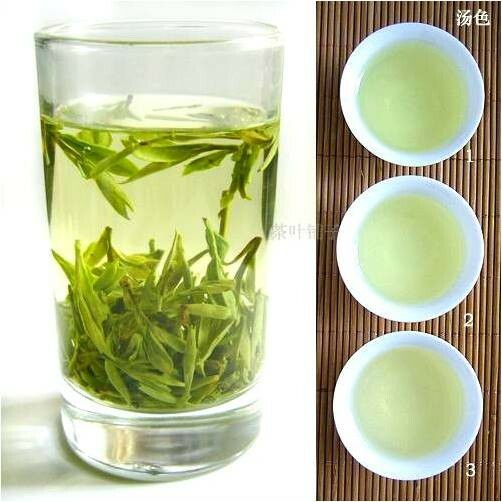 The soil is fertile and moist, containing large amounts of iron and phosphate great for the growth of tea. 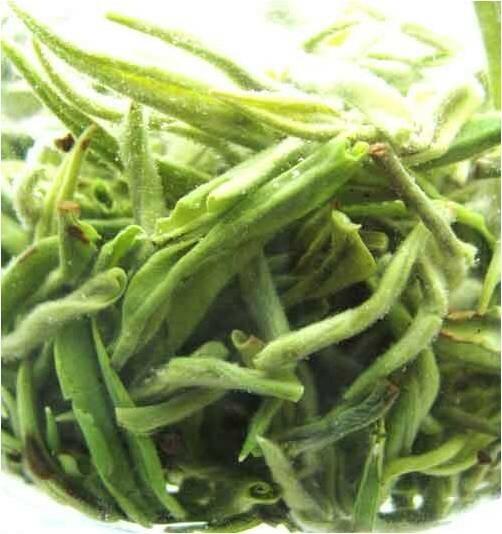 Normally very little tea from China's south-central province of Guizhou makes it into the tea-spotlight. 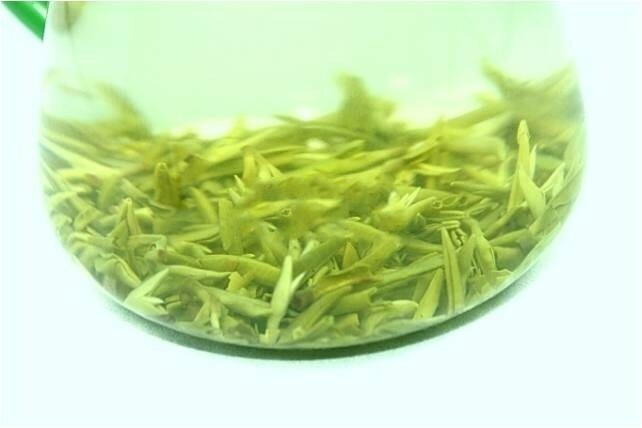 It actually does produce a fair amount of green tea, but the best of which is commonly consumed by the people of Guizhou; adding a bit of mystery to these more famous teas, such as Dou Yun Mao Jian. 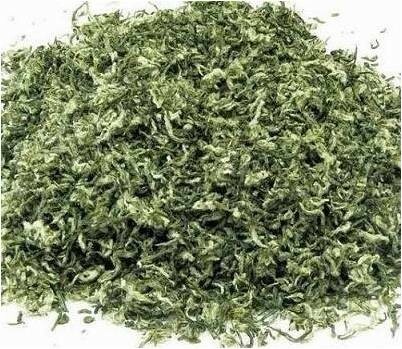 but three famous 'yellow' characteristics are what sets it apart: Yellower leaves, bright yellow leaves when wet and a yellow-tinged infusion. But taste is a whole different story altogether. 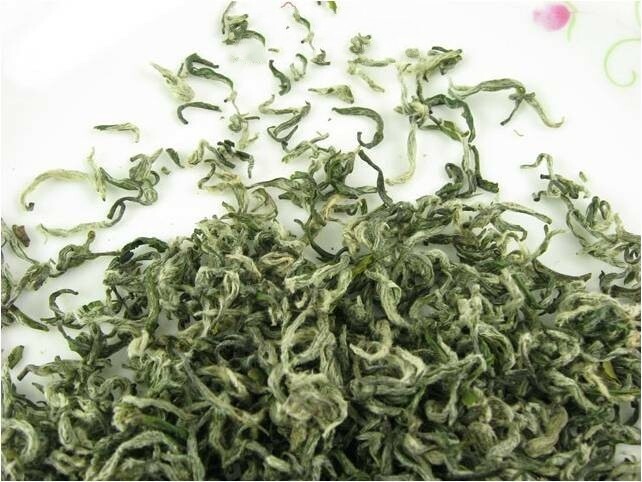 The Dou Yun Mao Jian has an entirely sweet and well-rounded taste that vastly differs from the darker and more complex Bi Luo Chun, making it a delicious and inspiring green tea! 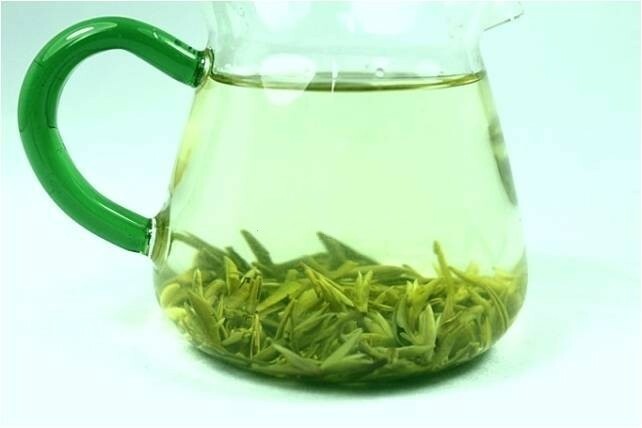 Du Yun Mao Jian is best when prepared with 70°C water, which produces a deliciously soft infusion with vibrant grassy flavours and some nutty notes. 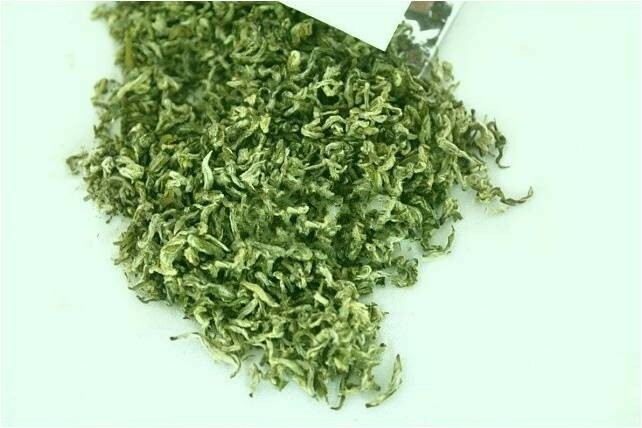 Appearance: Small, silvery down covered green buds and a small number of leaves..